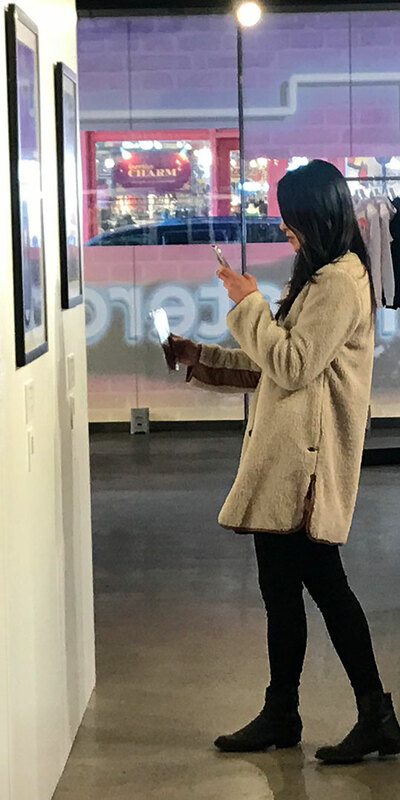 Our Challenge: : In support of their GRAMMYs week activation – a pop-up record store in NYC – Mastercard challenged us to provide customers with a unique and innovative shopping experience using their Masterpass™ payment platform. Our solution: We created a personalized platform that put customers in complete control. 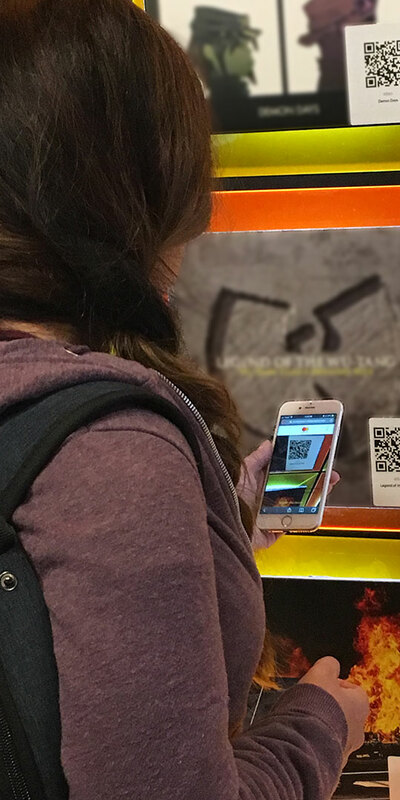 By making customers’ smartphones the center of the Masterpass experience, we transformed traditional retail into an innovative and frictionless shopping journey. 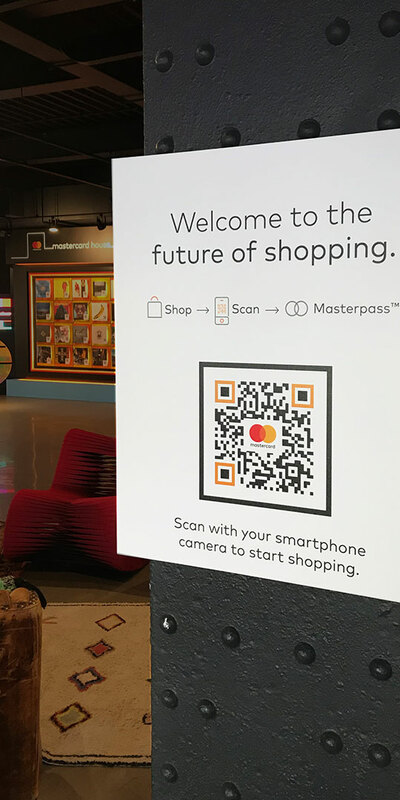 At the Mastercard House, we used QR codes to bridge the gap between in-store and digital shopping, allowing customers to scan records and apparel with their smartphone camera to add them to their virtual shopping cart. When customers had finished adding items, our experience let them skip the checkout line and pay right from their smartphone with Masterpass™. Our end-to-end experience included an inventory and fulfillment system that kept track of customers’ orders as they were filled on the backend. Once an order was filled, the backend system automatically notified the customer via SMS. This gave customers time to discover all that the Mastercard House had to offer – and let them collect their purchases at their own pace. 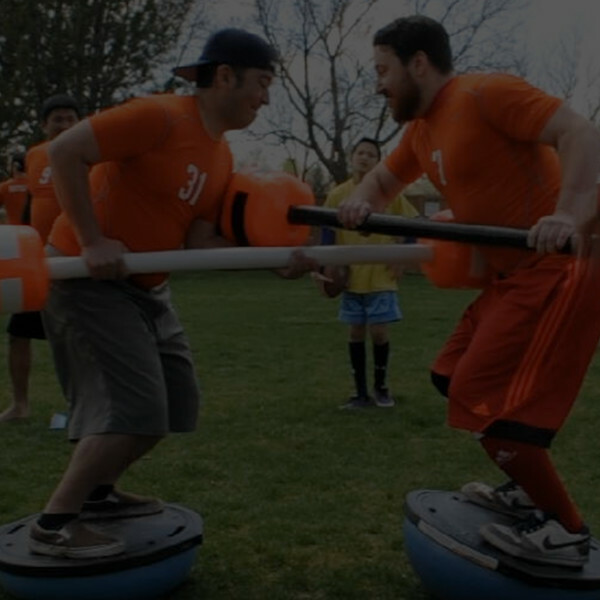 The platform made our results a hit.